During the first few months of my pregnancy, I had food aversion that included vegetables. Sadly, I did not eat my usual vegetable servings but I did eat a ton of fruits. Summer fruits were in season and I just could not get enough. I was also tired all day, every day. I baked breakfast muffins that I could make on the weekends and I can just grab and go throughout the week. 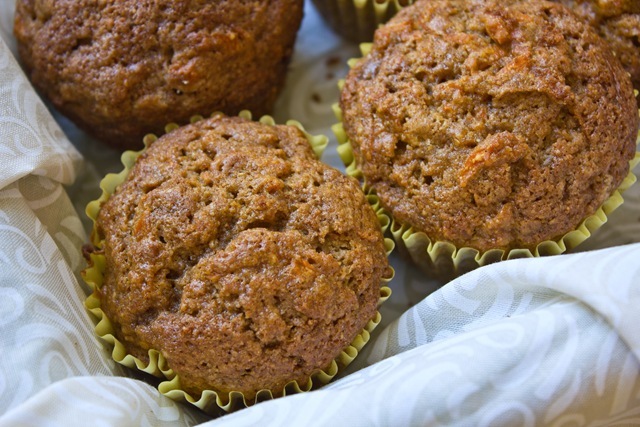 Breakfast muffins with vegetables? Yes, please. There was a time where breakfast muffins and boiled eggs were my breakfast staples. I normally make oatmeal in the morning, but my energy was so low during the first trimester, that standing around the stove and stirring my oatmeal was just too much. I wanted a lazy breakfast but made sure it was still a healthy breakfast. 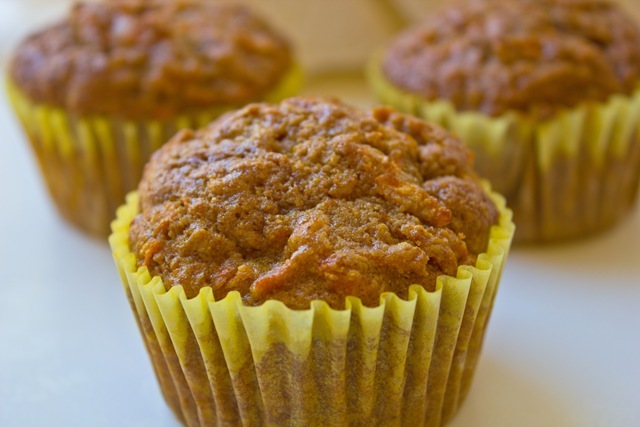 Since I was making these with breakfast in mind, I reduced the sugar from the original recipe and added toasted walnuts for added healthy fats. I would suggest adding more sugar if you are making these for brunch or for house guests. This was a really simple recipe. Put dry ingredients in one bowl then put the wet ingredients in a second bowl, combine both and then bake. Easy peasy. -Combine dry ingredients in a large bowl. Whisk oil, eggs, and vanilla together in a medium bowl, then add to dry mixture. 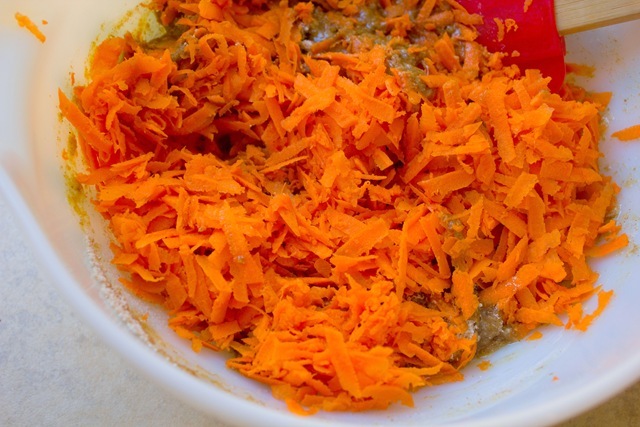 Stir until just combined, then add carrots & walnuts, stir until incorporated. 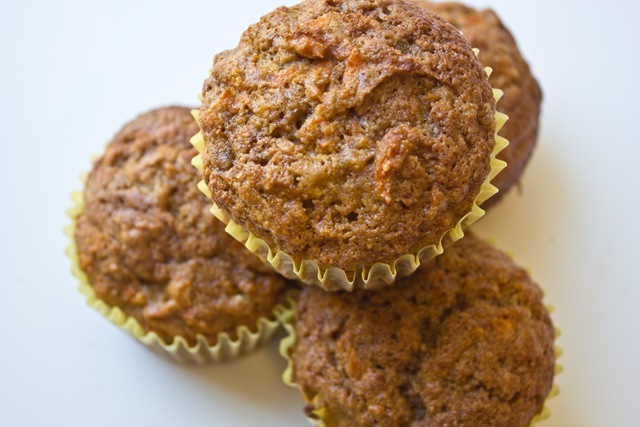 -Divide batter evenly into 12 muffin cups and bake at 350 for 28-30 minutes. I think I will add golden raisins next time I make these, they would add more texture and additional sweetness.. They look fantastic! I make muffins almost every week for breakfasts. So easy to grab and go.